Welcome to the Halcyon Fold. Learn more about the game and find friends and allies in the VG community! Legendary ‘Vox on Ice’ Leaps into Vainglory! Vox jumps, spins and leaps into Vainglory with an outrageous new ice skating performance! 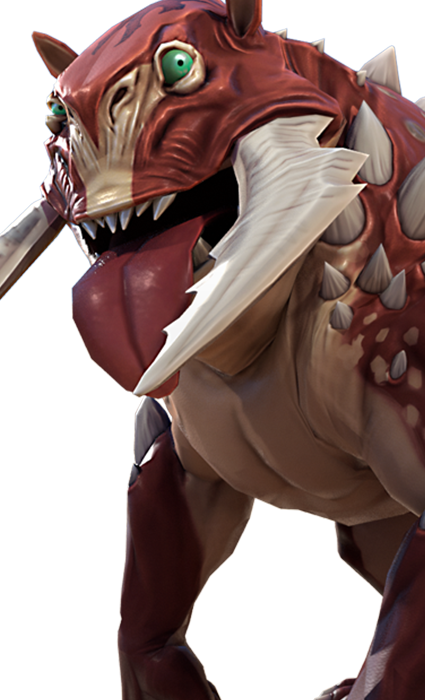 Read on to discover more about this legendary new skin. Coming soon: the Rare ‘Kyūdō’ Kestrel! Meet the heroes, find your play style and join your team in the Halcyon Fold. We recommend leveling and earning gold in the Lane. Snipers excel at taking down enemies from a distance. Assassins are deadliest when striking their target from the shadows. This hero is a Mage. Mages use spells to lay waste to their enemies. We recommend leveling and earning gold in the Jungle. This hero is a Warrior. Warrios are strongest at the center of a fight. Protectors are most powerful when fighting alongside allies. 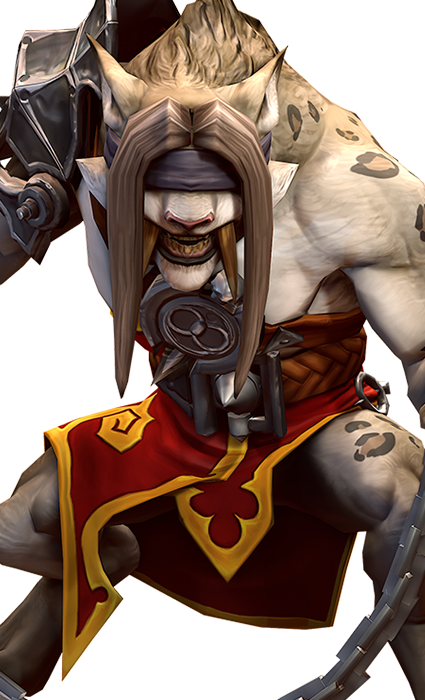 Churnwalker is a disruptor who throws multiple skillshot hooks, chaining victims to him. 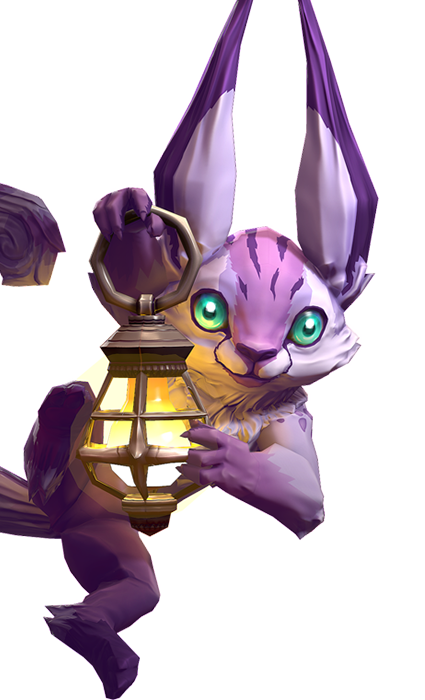 Flicker is a sneaky trickster able to disrupt foes with his debilitating abilities. 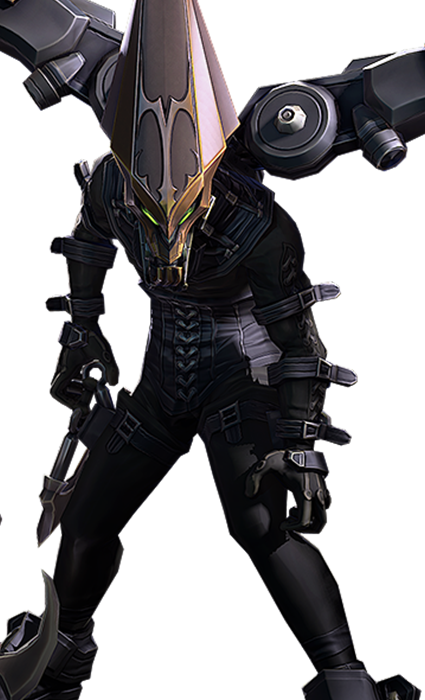 Utilizing his stealth, Flicker can plunge deep into enemy lines causing mayhem or grant his team stealth to initiate on unsuspecting prey. 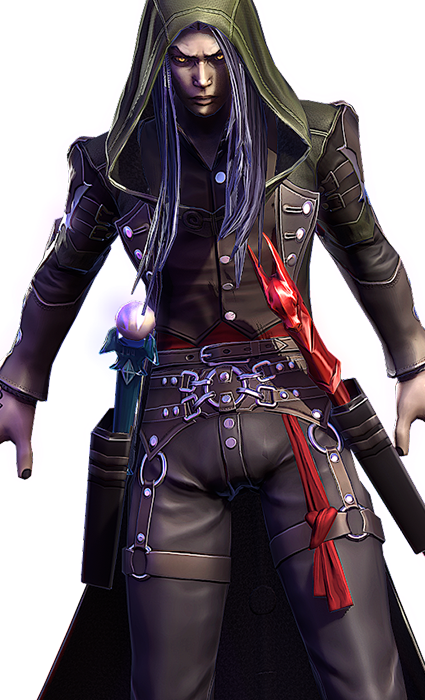 Samuel is a dark mage who controls large areas with his abilities. 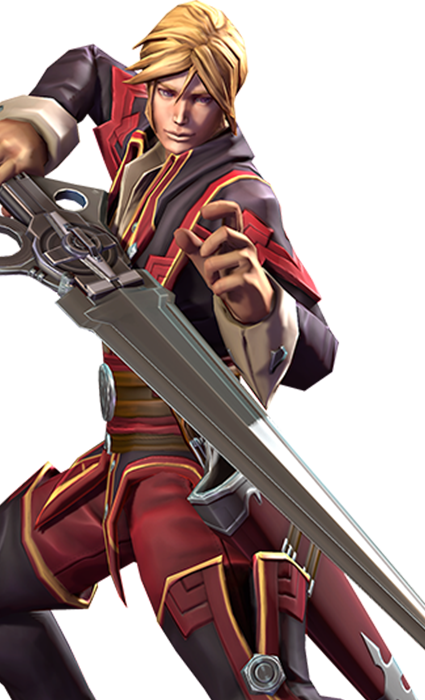 Samuel is able to deal damage on the move, but he may be caught out of position if played too aggressively. He is well suited in the lane, able to bully his victim while draining health and energy to sustain himself. Reim is a grumpy old winter mage who freezes everyone who crosses him. 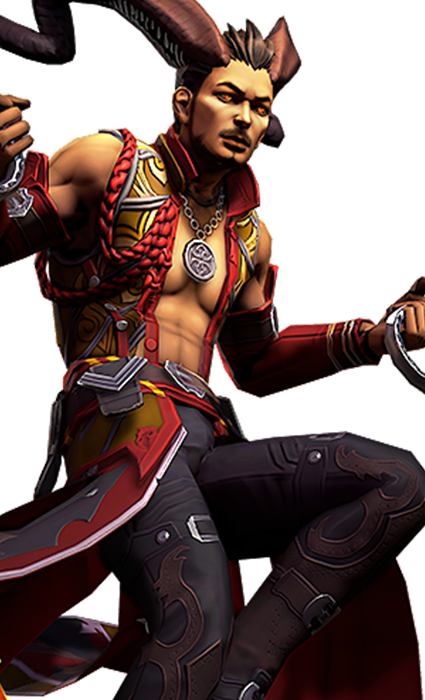 Though he moves slowly, he deals heavy damage to opponents while being surprisingly resilient himself. He holds his own in the lane, but he’s particularly effective in the jungle where he can go toe-to-toe against most opponents that he can catch. 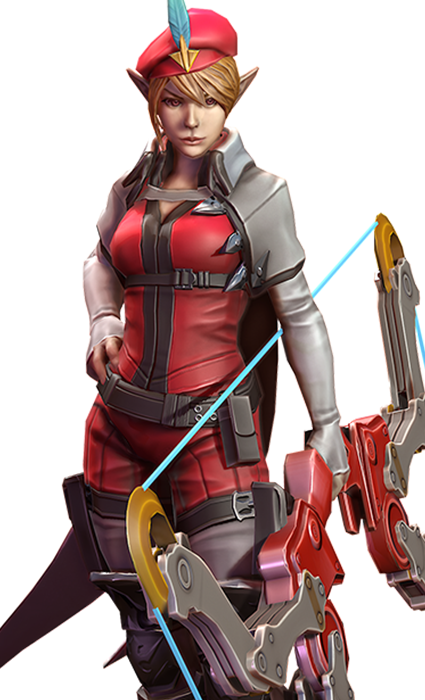 Kestrel is an elite Stormguard archer who takes down targets from a distance. 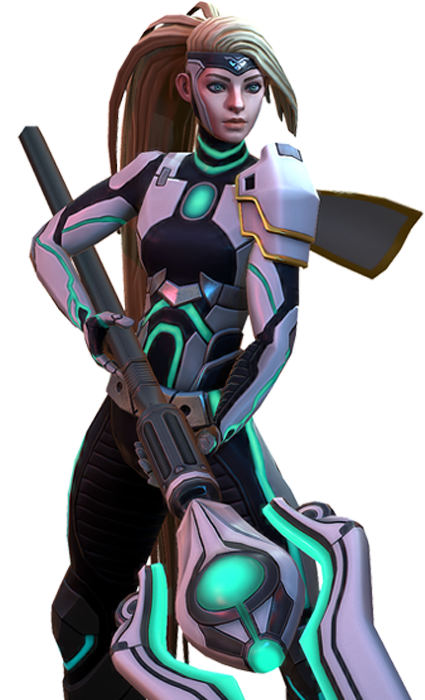 When building weapon, she deals rapid, sustained damage and uses stealth to find better footing when enemies get too close. 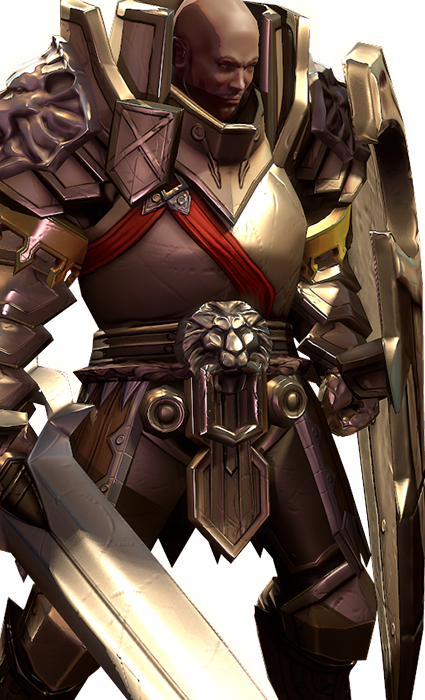 Kestrel’s crystal path affords longer stealth times, which sets up aggressive tactical plays. She’s best in the lane where she can use the protection of her turret to safely collect gold. 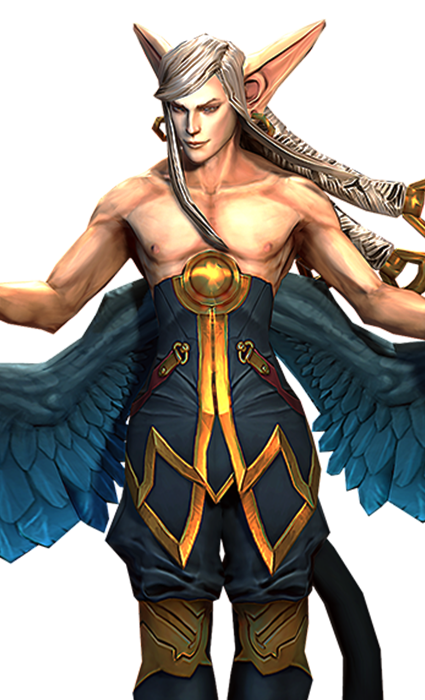 Blackfeather is a striking duelist who pierces the hearts of his opponents. 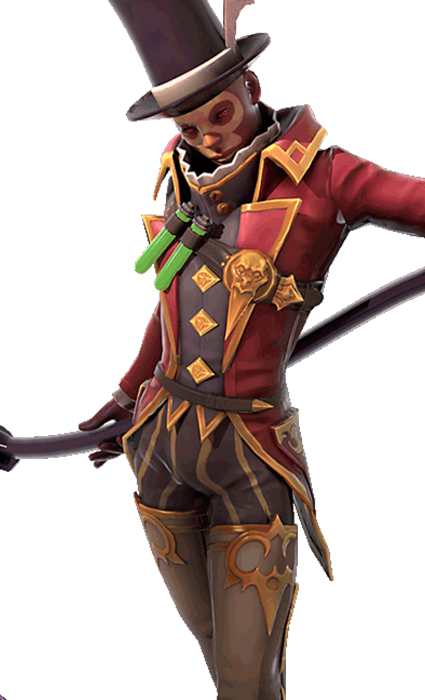 When building weapon items, he becomes a powerful assassin. Building crystal and utility items instead unlocks powerful effects for himself and his team. 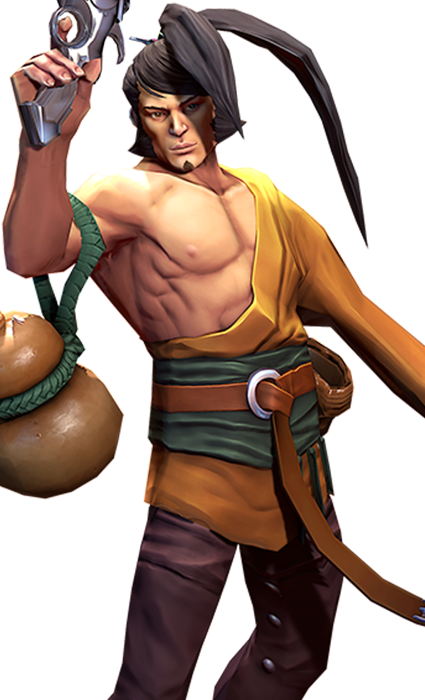 He performs well in the lane where he can focus on accumulating gold early in the match. Phinn is an unstoppable tank who brings the fight to him. He pairs incredibly well with other heroes who don’t back down from battle. Phinn is strongest with defense and utility items, and he’s able to absorb immense amounts of punishment, protecting teammates while they dish out damage. 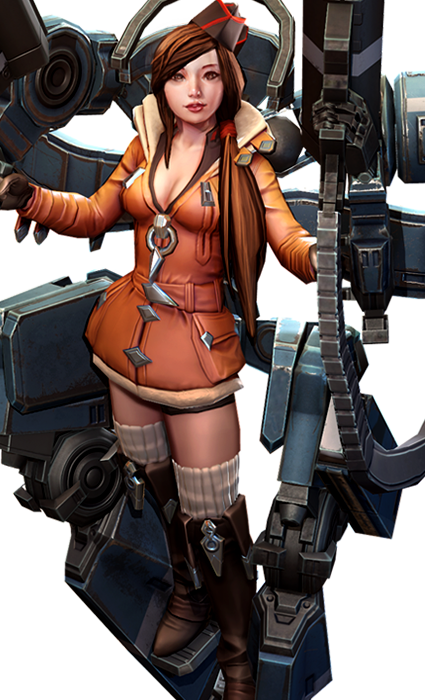 Skye is a swift sniper able to dance at the edge of fights or dive deep into the enemy backline to kill key targets. 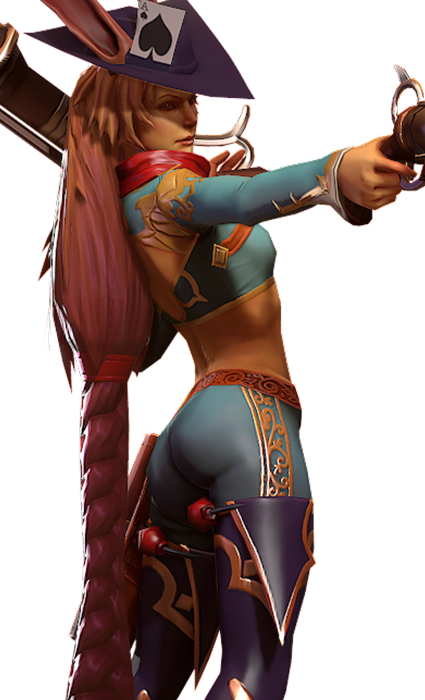 Skye’s unique strafing attacks change the complexion of fights, and her ability to chase down and catch opponents is unparalleled. 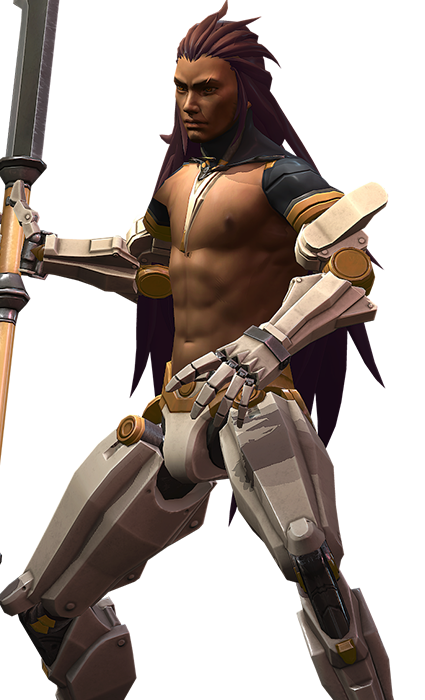 This hero is free to play. 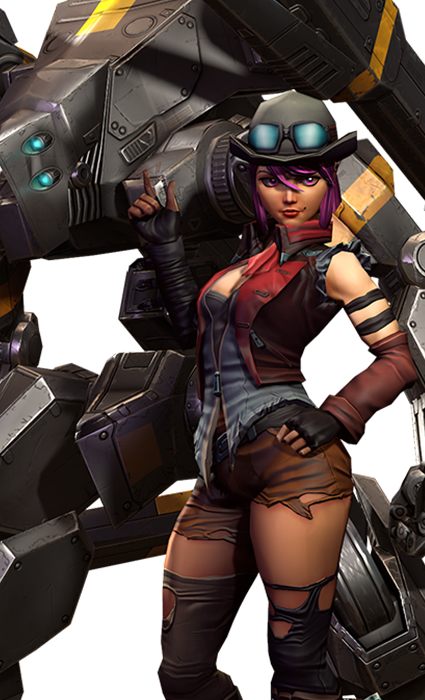 Joule is a hardened front-line fighter with built-in defensive plating. 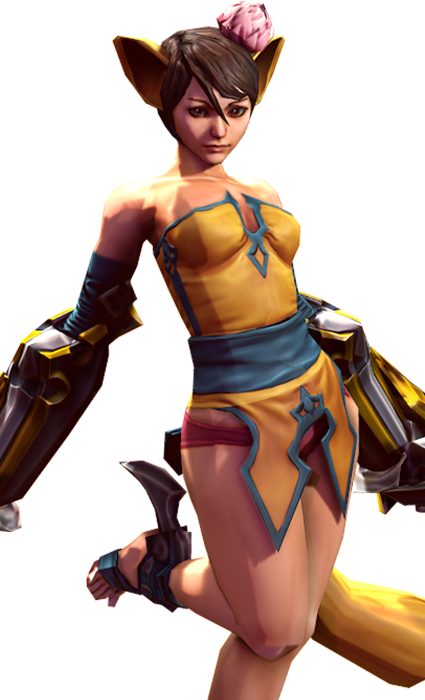 All of Joule's abilities require proper aim to hit the intended target, but they have a devastating effect if you can aim properly. 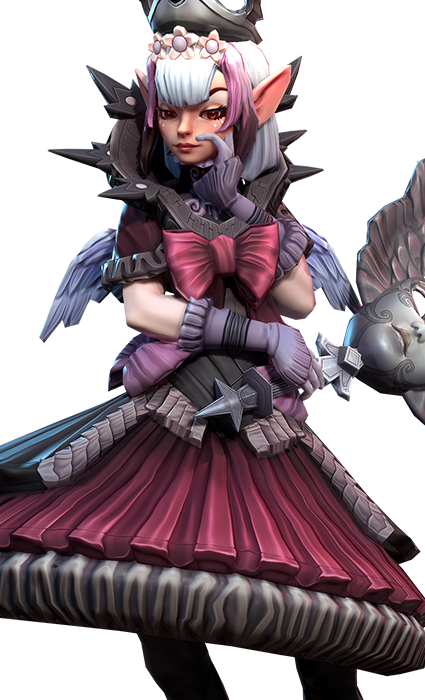 Pick Joule if you can predict enemy movements. 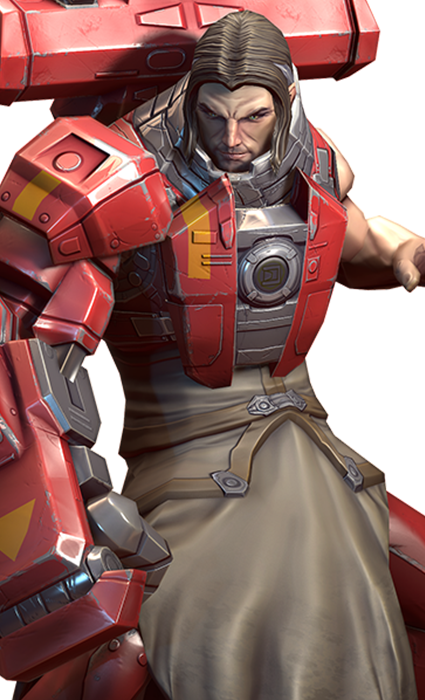 Ardan is a damage-soaking protector who dramatically changes the landscape of teamfights. 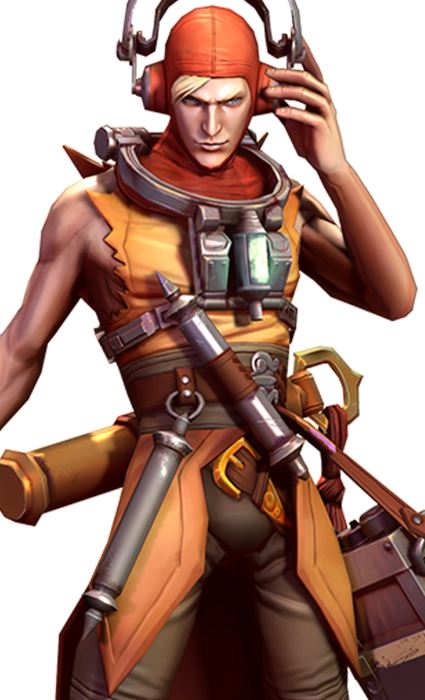 Able to rescue friends from certain death and turn lost battles around with his powerful terrain-changing ultimate, Ardan brings immense utility to the team. 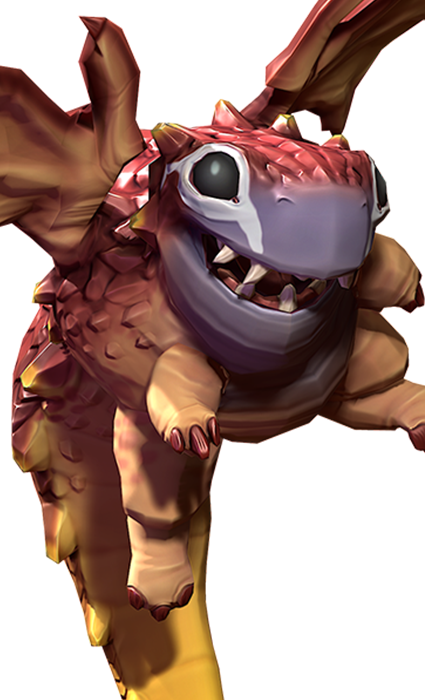 Skaarf blazes his way through the fold, incinerating everything in his path. He specializes in powerful abilities that set his enemies on fire, bringing them down from a distance. 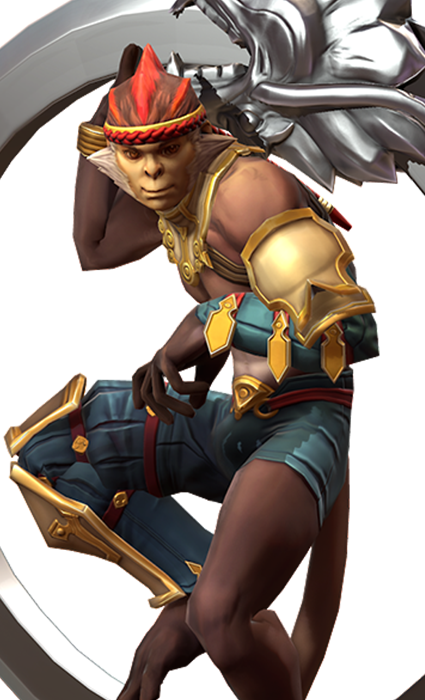 Quick and nimble, Ozo leaps from hero to hero as he bounces around the battlefield. 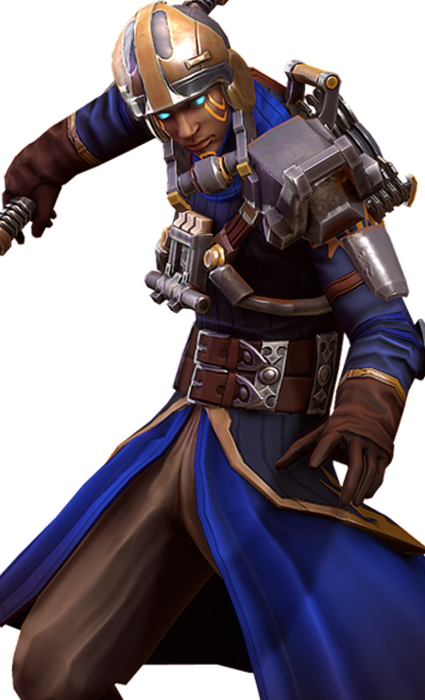 He is at home in the center of a chaotic fight where he can deal large amounts of area-of-effect damage. Remember to build defensive items to maximize the amount of time he can stay in combat. 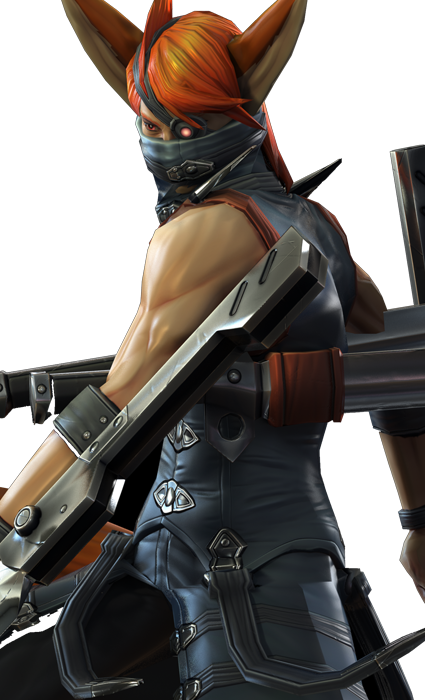 Taka weaves through the battlefield, eliminating targets with his switchblades. He lives on the knife's edge, compensating for fragile defenses with agility and stealth. Krul is a jungle nightmare who dominates in 1v1 duels. 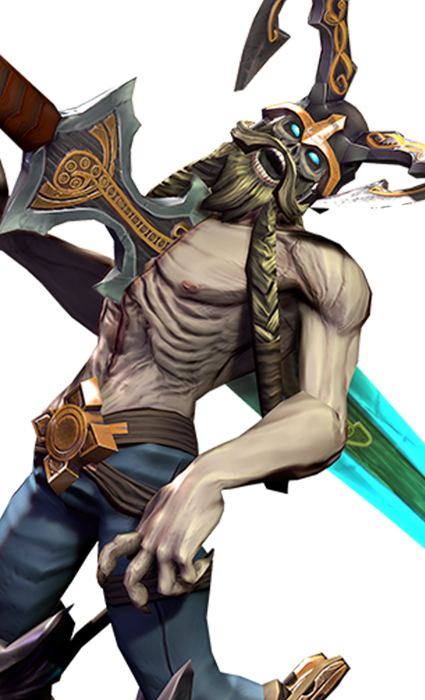 Able to absorb massive amounts of damage and recover large portions of health, Krul can bring the pain and survive a beating. 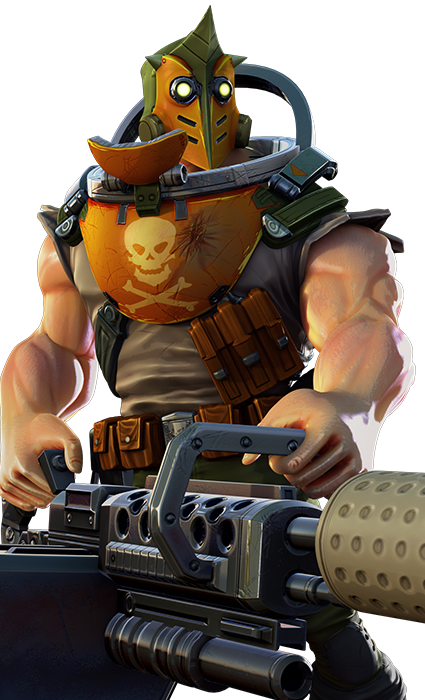 SAW has arguably the highest damage potential in the game ... but at the huge expense of mobility. Excellent at sieging important locations, SAW zones, slows and damages with Suppressing Fire. Petal plants seeds that slowly heal her and her friends. 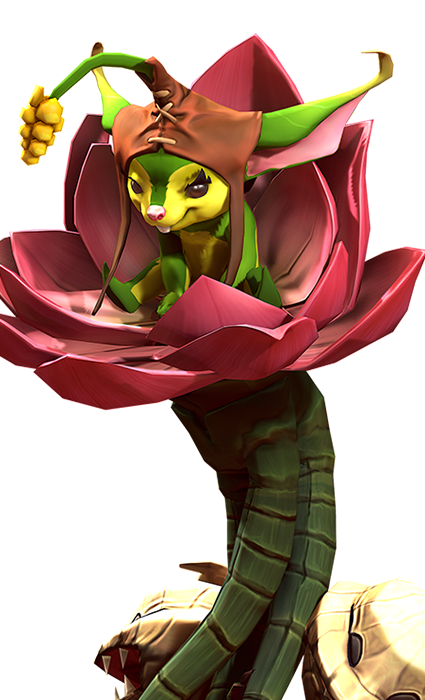 She can grow these seeds into minions that fight alongside her, and she can blow them up to obliterate vulnerable targets. 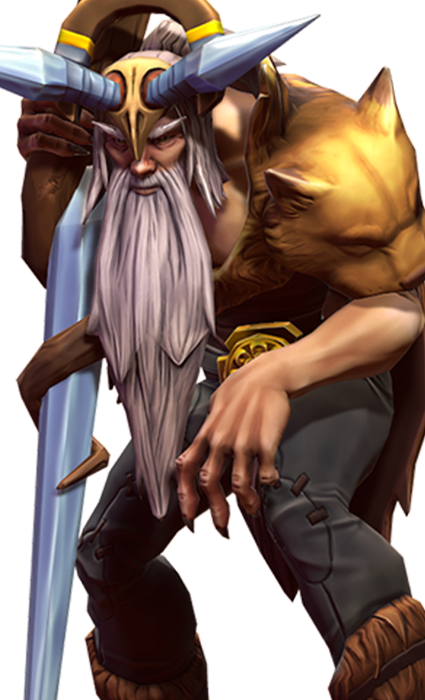 Glaive is a devastating powerhouse, instantly dashing into the action and knocking enemies into danger. His damage is devastating, but he is vulnerable to slippery opponents. Koshka is an in-your-face assassin adept at getting the kill and then getting out. She should focus on assassinating weak targets and locking down the most lethal enemy. 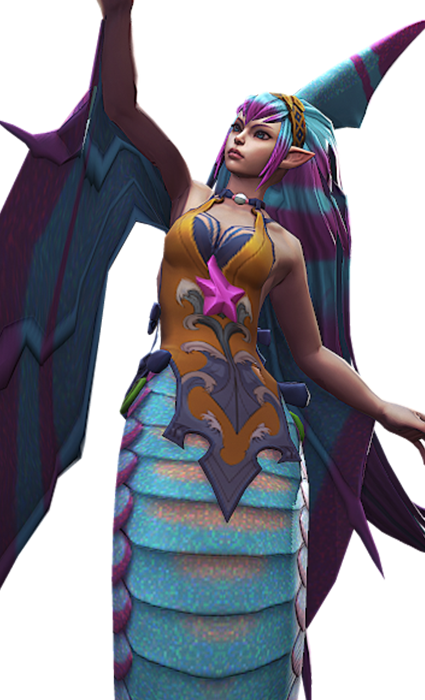 Adagio can heal. He can amplify damage. 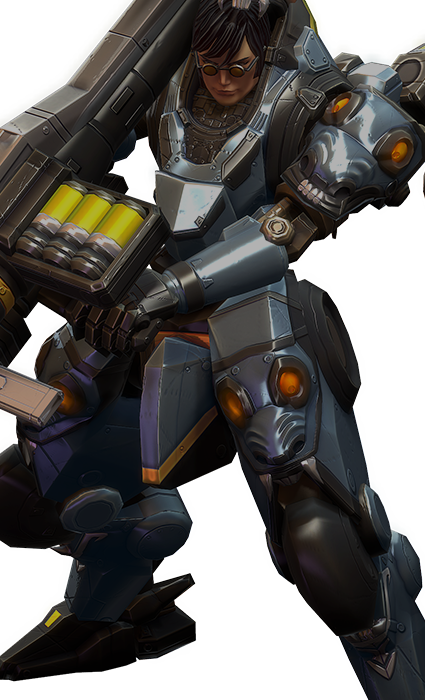 He can stun and nuke the entire enemy team. 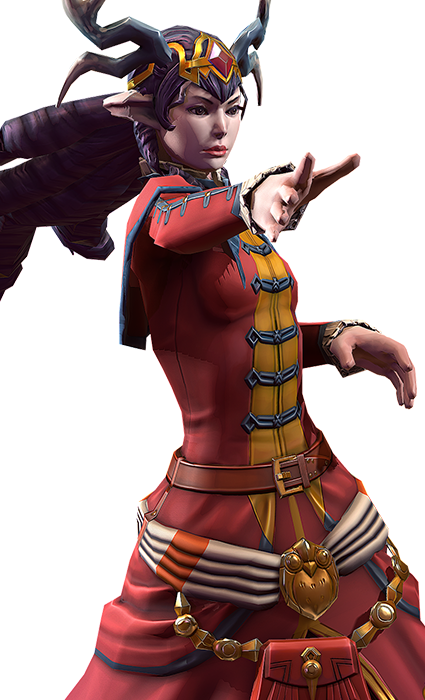 This master manipulator of large-scale battles brings shines through area-of-effect damage and team-saving abilities. 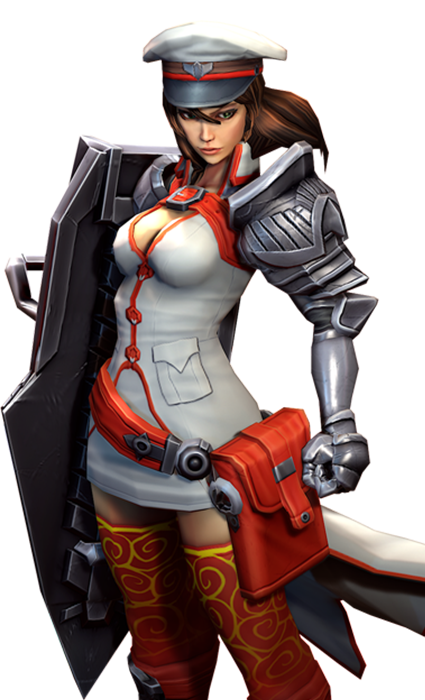 Catherine brings the most reliable stun and disruption skills to teamfights and ganks. 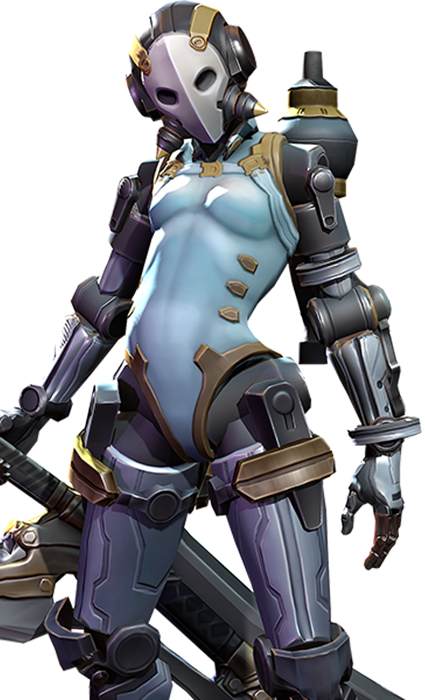 Hard to kill and great at chasing, she can secure kills and turn around fights that would otherwise be lost. 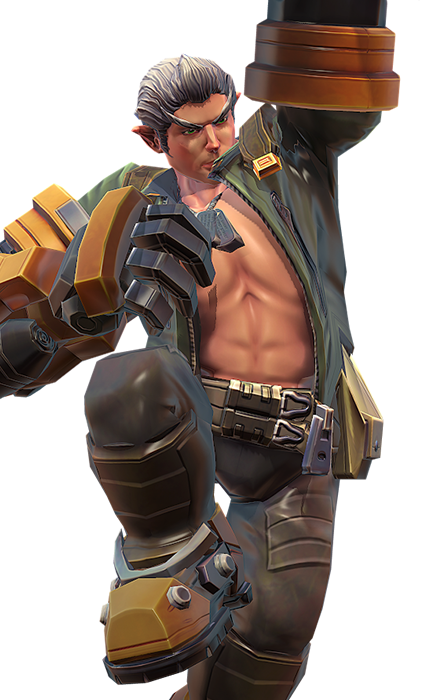 Vox is a mobile sniper with a high-energy playstyle, able to quickly and frequently dash around the battlefield. 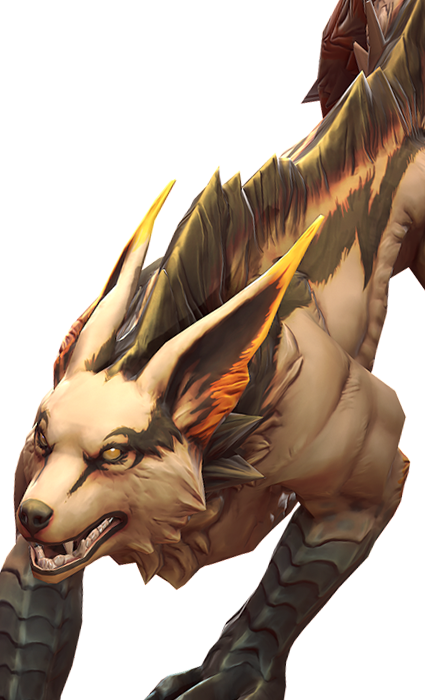 Vox deals significant damage either to a single target or to groups of enemies depending on his build. 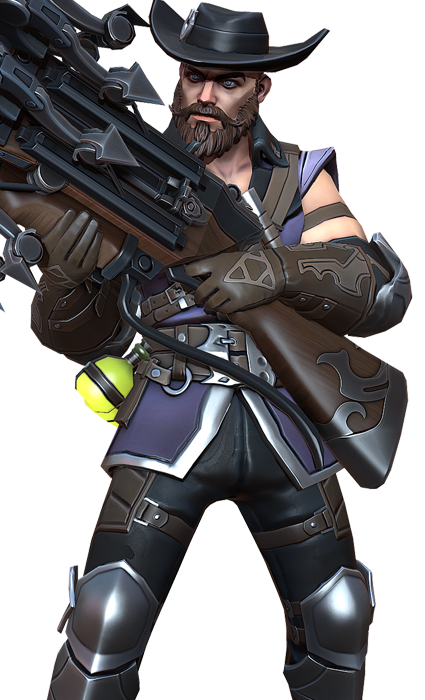 This allows Vox to react to the needs of his team. 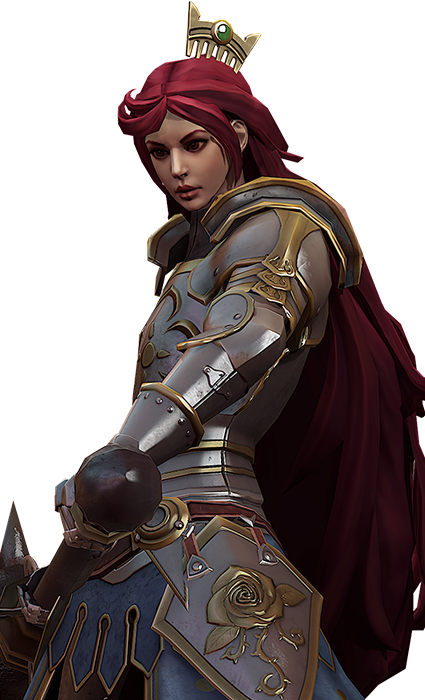 Explore the Halcyon Fold where heroes meet for battle. Immerse yourself in this stunning world. Delve into strategic locations on the map. Prepare yourself for battle. 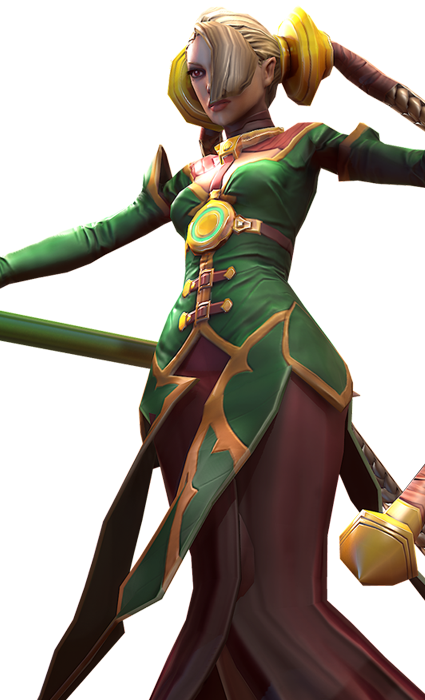 Discover the latest hero builds, strategy guides and wikis! Visited our FAQ, and still need help? Contact our customer support. Having technical difficulties or can’t find the answers you’re looking for?